Everything you need to know to restore or customize your classic Japanese motorcycle. Everything you need to know to restore or customize your classic Japanese motorcycle.Whether you want to correctly restore a classic Japanese motorcycle or create a modified, custom build, you need the right information about how to perform the mechanical and cosmetic tasks required to get an old, frequently neglected, and often long-unridden machine back in working order. 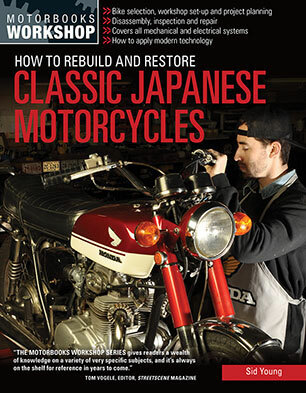 How to Rebuild and Restore Classic Japanese Motorcycles is your thorough, hands-on manual, covering all the mechanical subsystems that make up a motorcycle. 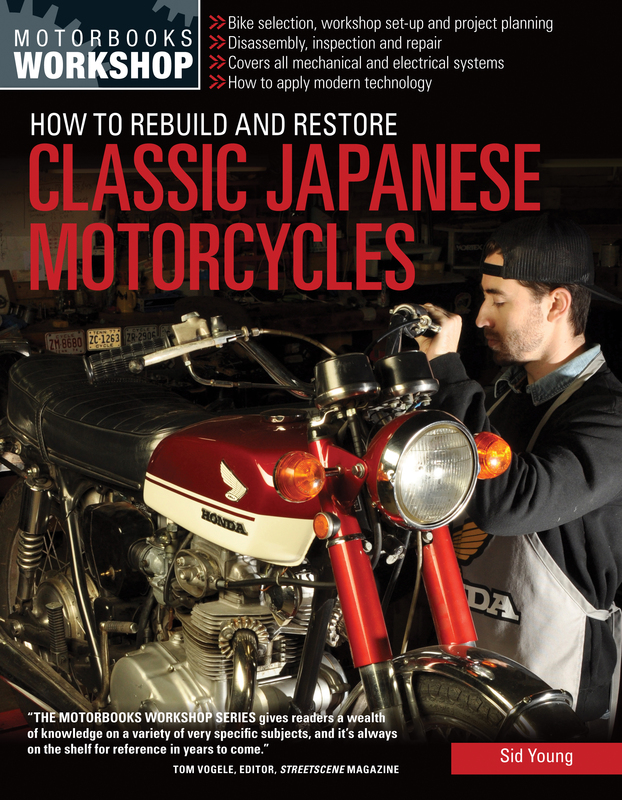 From finding a bike to planning your project to dealing with each mechanical system, How to Rebuild and Restore Classic Japanese Motorcycles includes everything you need to know to get your classic back on the road. Japanese motorcycles have been the best-selling bikes in the world since the mid-1960s, driven by the big four: Honda, Yamaha, Suzuki, and Kawasaki. Of course certain bikes have always had a following - Honda CB750, 305 Hawk, CB400-4, Benly; Suzuki GT750, Katana, GS1000S; Yamaha XS650, RD400 Daytona, TZ; Kawaski H1, H2, Z1R - and these have now become the blue-chip Japanese bikes leading collectors to seek out more common (and now more affordable) alternatives.This is the perfect book for anyone interested in classic Japanese motorcycles, as well as prepping a bike to build a cafe racer, street tracker, or other custom build. Sid Young has been a motorcycling enthusiast for the past 35 years riding, building and restoring classic Japanese motorcycles. A senior Systems Engineer by profession, Sid has applied his engineering knowledge to perfect his restoration skills over the decades.His enthusiasm for restoring motorcycles started with his first rebuild in the late 1970s of a mangled CB750 Honda. His personal collection now fills a shipping container, the garage, and his lounge room!Sid has written articles for magazines like Practical Sports Bikes and numerous club outlets. He is an active member of several motorcycle enthusiast clubs and has been documenting his work online for the past decade. He lives in Brisbane, Australia.